Manipur Chief Minister N Biren Singh on Thursday called upon organizations of the State not to call any bandh or general strike during the ensuing Sangai Festival scheduled to begin from November 21. Interacting with media in the sidelines of the Meeyam gi Numit (People’s Day) observation held at Durbar hall of the Chief Minister’s residence, N Biren was of the opinion that law and order situation of the State is getting better as compared to previous years. 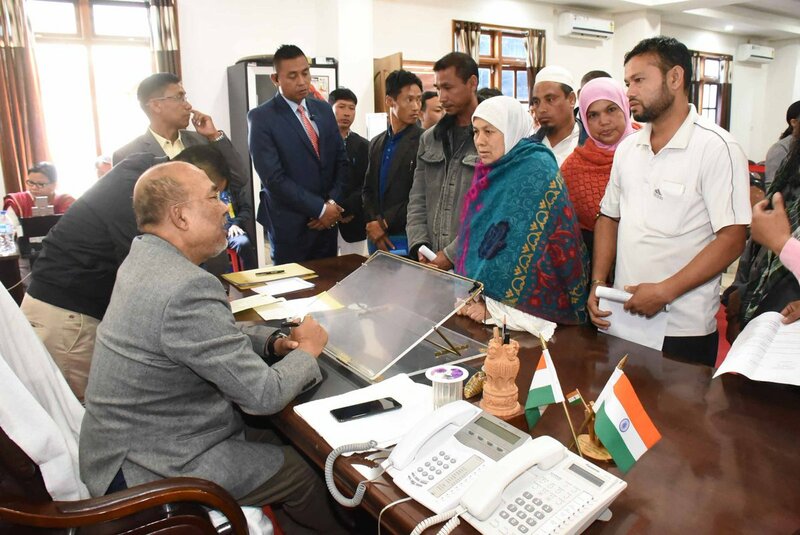 He also said that this change assumes significance in the State as it helps to change the mind-set of people from various parts of India and foreign countries in generalizing Manipur as a place of social unrest. He also disclosed that in this year, the princess of Thailand, two chief ministers from Myanmar and the US ambassador will be attending the Sangai Festival as special guests. N Biren also assured that the state government is taking all necessary steps to finish up the roads which are under-construction before the festival.